The BGC also has proven success as an advocate for the health of our young people. 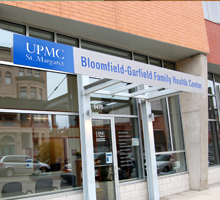 The BGC has played a key role in the implementation and program expansion of the UPMC/St. Margaret Health Partnership, a consortium of neighborhood schools and health-care providers working to address the health disparities and gaps in services for area students. Some of the Partnership’s successes include bringing diagnostic and screening programs into 5 elementary schools for students of low economic status, with a particular emphasis on seeing students’ asthma, dental care, mental health and vaccination needs met. The schools served are Pittsburgh Arsenal PreK-5, Pittsburgh Montessori, The Neighborhood Academy, Urban League Charter School and Pittsburgh Woolslair K-5.